This regal affair deserves the royal treatment with our pipe and drape and specialty stage decor. 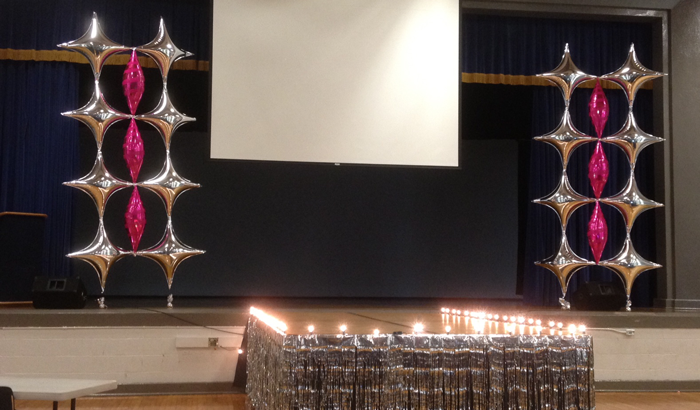 We can magically turn your cafeteria, gym or auditorium into a palace good enough for Cinderella. Contact North Florida’s Best Balloon Decorator!